Anticorrosive Epoxy Primer · Aqueous, 2-component, solid epoxy resin primer for rigid, non-absorbent substrates. For interior and exterior use. Promotes adhesion on rigid, non-absorbent substrates. Anticorrosive coating on iron, steel and galvanised surfaces. Universally to be coated with nearly all 1-component and 2-component finishing coatings (apply a trial coating in case of doubt). Unsuitable for concrete repairs as anti-corrosive coating on reinforcing steel rods. Excellent adhesion on practically all non-absorbent substrates. 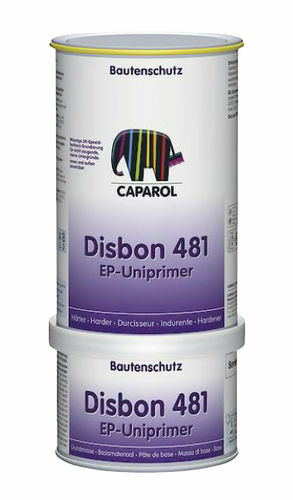 Can be used as an active anticorrosive coat on de-rusted iron, steel and zinc (galvanised) surfaces. Aqueous, 2-component solid epoxy resin.